Man: Will you go out with me? Woman: Yes! And then, I must reject you. Woman: I must reject 100/e guys. That's 37. Woman: Statistically,* the next one that's better than those 37 will be my soulmate. Man: You're nuts! Good bye! 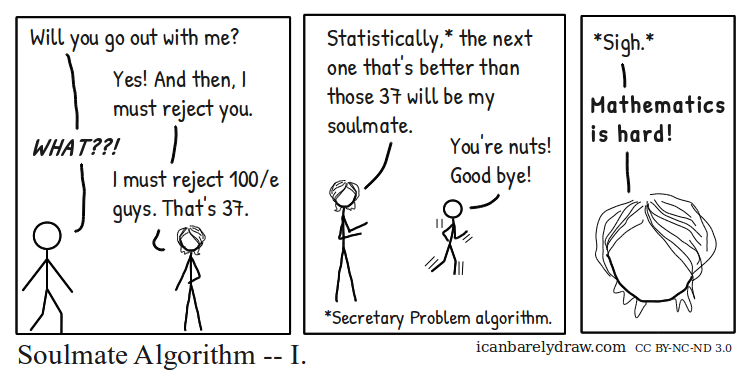 Title: Soulmate Algorithm -- I.